As the name suggests, the new Tricky Treat Ball Xtreme™ dog toy is extremely fun! Play fetch, or a game of tug of war, and not worry because the "Ballistic Fabric" is tough, and built for extreme use. Also, the built in interactive treat dispensing ball only needs to be filled with your dogs favorite small treat. As your dog plays with the Xtreme, treats will fall out to reward your dog. 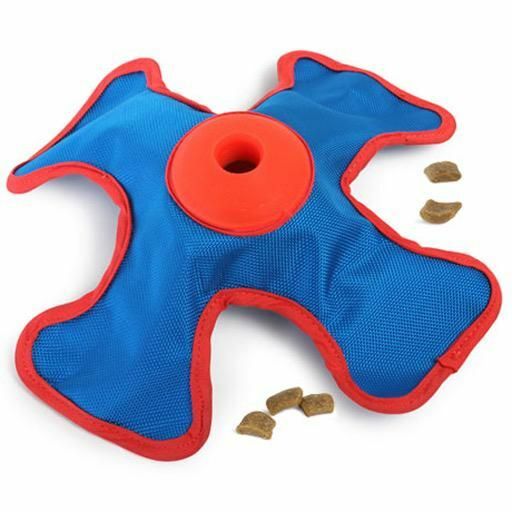 This challenging interactive toy will entertain your dog for hours!